Genre: Roaming beat 'em up. 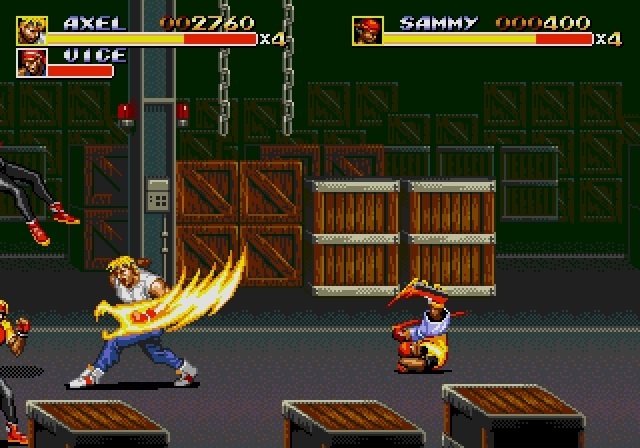 Whilst the first and second Streets of Rage games would garner a reverential following amongst SEGA fans, instalment number three is conspicuous by its anonymity in the hearts and minds of gamers. This is down in significant part to what was, to be frank, a fairly disastrous western port. Content was removed, the storyline tinkered with. Inexplicably, the skill settings were given a major overhaul, so that even the ‘Normal’ setting felt as though it had been pitched somewhere between ‘Hard’ and ‘Hardest’, were you to use its predecessors as a yardstick. This meant that for a majority of gamers, and indeed fans of the series, much of the enjoyment and prospective progression was removed. It was a big let-down. Its changes were all the more curious, given just how good a game SEGA had on their hands to begin with. 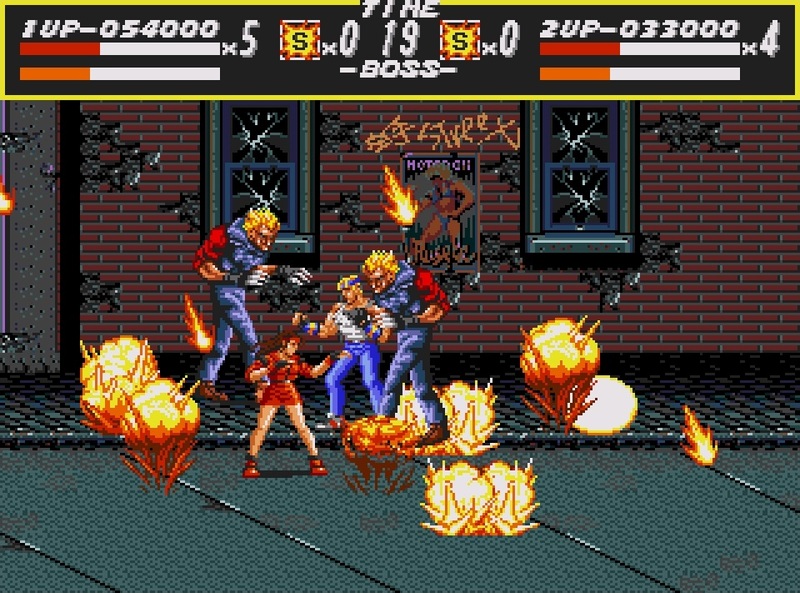 The Japanese version thus offers gamers an olive branch of sorts; the opportunity to wipe clean the slate, and play the third Streets of Rage as it was really meant to have been. The difficulty is considerably better judged, weighing in just slightly tougher than the second SOR. There’s a bit more of a story focus in Bare Knuckle III. Whilst this sounds like iffy ground for a roaming beat ‘em up to be treading, don’t worry, it doesn’t intrude on the gameplay. Instead, a few brief cut-scenes serve to make sense of it all (knowledge of Japanese is handy but in no way essential), paving the way for a trio of different endings. There’s no doubting SEGA’s ambition here; there’s even an alternative final level and boss, and a number of new, meaningful moves that fit neatly alongside familiar ones. Forgiving the odd small misstep here and there, it plays superbly. 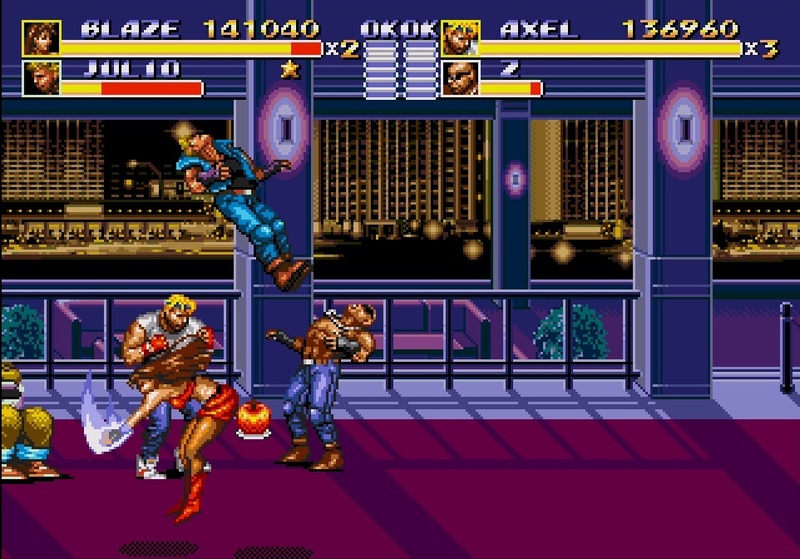 Adding to the basic move set is a handy run function (achieved through a directional double-tap), as well as a roll function up and down the screen which acts as a useful means of evasion. Certain characters can also let rip with weapon-specific specials too. It still sports the tried-and-tested punch combos, watertight grapple system and myriad of extravagant, fun throws that made its predecessors such riotous fun, but there are also plenty of scenarios in which you’ll need to take advantage of your new abilities. 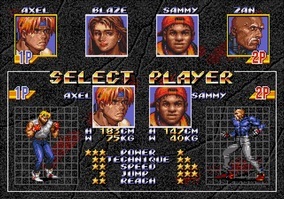 Of the four selectable characters, Blaze, Axel and Sammy (Skate outside of Japan) return from SOR2’s roster to offer a number of variations on the speed, jump, power and technique characteristics. Elsewhere, there’s a tank-for-tank character swap as wrestler Max is substituted for cyborg Dr. Zan, who proves a strong option, even if his move set is a little uninspiring. Bare Knuckle III’s levels are top-drawer. 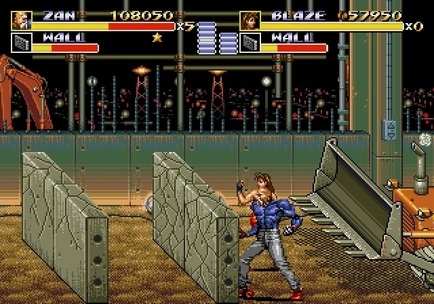 It marks a welcome return to some of the more interactive/hazardous style of locales that defined the original, but had been left a little on the backburner in Streets of Rage 2. You’ll have ample opportunity to chuck enemies off ledges and down pits (hurrah! ), whilst one particularly tricky, engaging stage requires extreme vigilance on railway lines, as carts periodically steam through the scene, bringing a tense urgency to proceedings. As is the beauty of the series in general though, with the right tactics this lethal mechanism can be just as lethal to goons as it is to players. The flipside is, there is the occasional instance that disappoints, such as a sequence where you’re chased by a bulldozer, and forced to knock through walls to remain ahead. Even with two players, you’re outmatched, and liable to lose a number of precious lives. The bosses are a mixed bag. 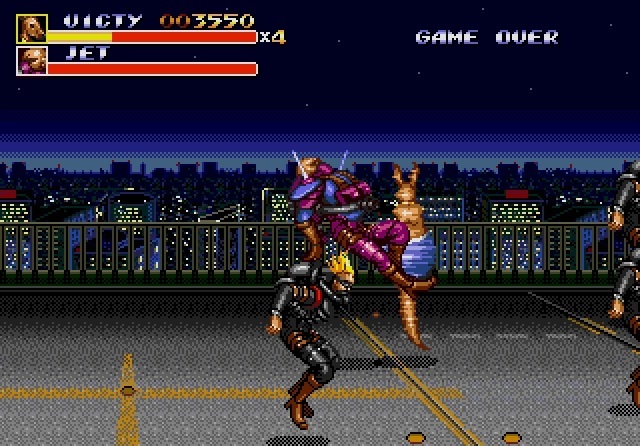 Fighting henchman Shiva in the early stages is neat, and the dynamic of simultaneously battling a clown and a boxing kangaroo (unlockable as a character should you manage to defeat the former without taking out the latter), makes for a memorable clash. 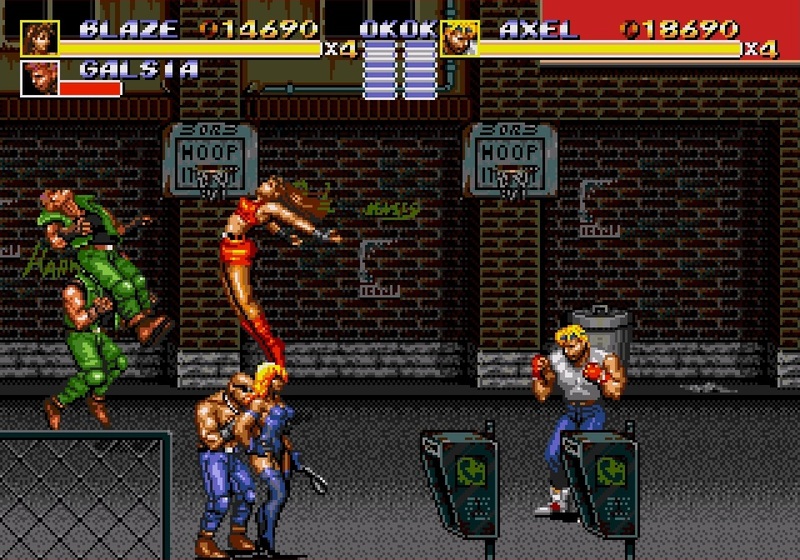 Retracing the final sequences of Streets of Rage 2 in Stage 5 is really cool, so much so that you’ll turn a blind-eye to the blatant recycling of content. 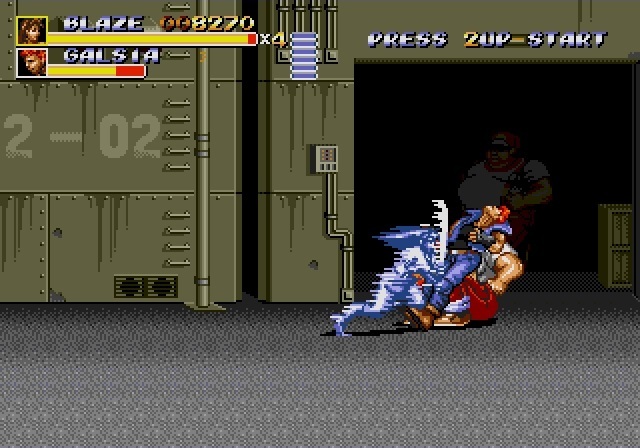 Jet-propelled dive bombers and the infamous flying-kick twins make for fun if familiar bosses, but the last boss is a spammy horror show; a cyborg monstrosity more befitting Rise of the Robots than Streets of Rage. Those easily frustrated, look away now. Koshiro’s soundtrack may not have been as rapturously received as his previous two, but this is in large part due his cultivating of a harder, faster tone. The techno-heavy music is deliberately rough and abrasive; it’s not so much a declaration of intent, as a full-on assault. But if BRIII’s soundtrack is slightly less stylistically diverse than its predecessors, then it only serves to intensify its drive and focus. Pre-dating and pre-empting the emergence of nineties trance, the viscerally high-tempo dance tunes offer a non-stop barrage of chiptune noise and percussion that batters along at a blinding pace and somehow, masterfully, melds together cohesively. ‘Fuze’ is an outstanding high-point, with its siren-esque synths and jungle beats providing an adrenaline rush of remarkable proportions. You’ll marvel at how on earth they managed to make such complex compositions sing on the Mega Drive’s sound chip. As the sequel to one of the finest looking Mega Drive games, it was never likely to be left wanting in the visual stakes either. Some of the sprites and scenic elements may be carried over, but BRIII still exudes an adrenaline-filled vibrancy. Scrolling is as smooth as a Rolls Royce despite huge quantities of on-screen activity, the animations remain super-impressive, whilst the levels are colourful, distinctive and jam-packed with detail. The seven stage journey also offers ample mileage for replayability, with co-op remaining a huge draw, and three boss characters unlockable to play as, including the awesome Shiva. There’s still no Adam though, his guise is merely teased in the form of the 1UP extra-lives. Bah. Attaining the best ending requires dedication and even should you fail to set up a desirable outcome during the penultimate level, the reward of brawling your way into City Hall for an alternative conclusion is a fantastic second-prize. 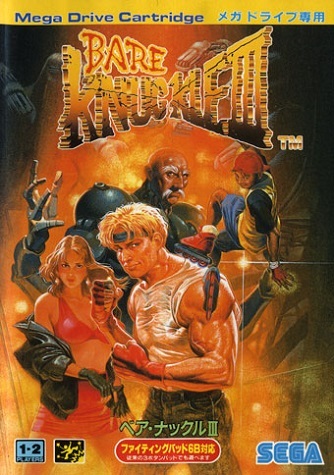 Bare Knuckle III marks a great concluding chapter for the trilogy. By exploring new avenues with elements of the gameplay design and soundtrack, it does take a little longer to appreciate its qualities, but SEGA deserve plaudits for exacting a number of small but meaningful additions to the formula, without ever taking the gameplay experience from its roots. 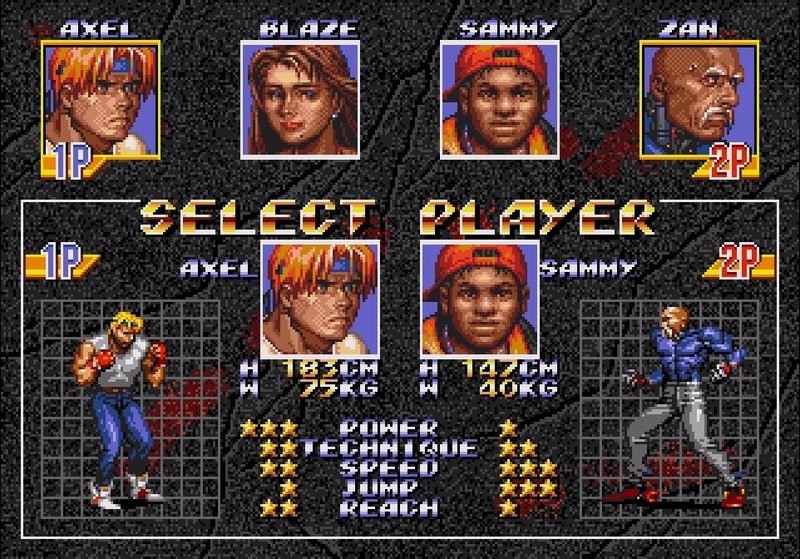 Axel’s fiery punches and Blaze’s arrow-like kicks are as satisfying as ever, and it’s heartening to know that, somewhere at least, Streets of Rage’s 16-bit legacy ended on a positive note.